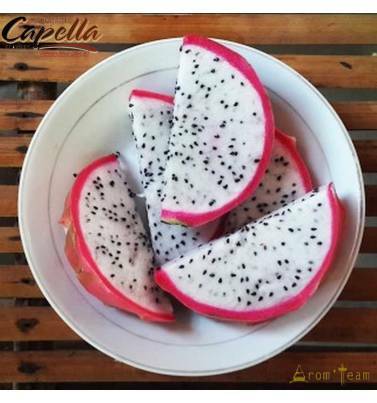 Dragon fruit, a mix of kiwi, pear, melon, tropical fruit, berries... for a pitaya vape juice! A mix of kiwi, pear, melon, tropical fruit, berries ... a balanced and refreshing mix. If you like fruit concentrates but do not like them to be too sweet, you will be seduced by this flavor that delivers a very natural fruit taste. How to dose this Capella flavor ? 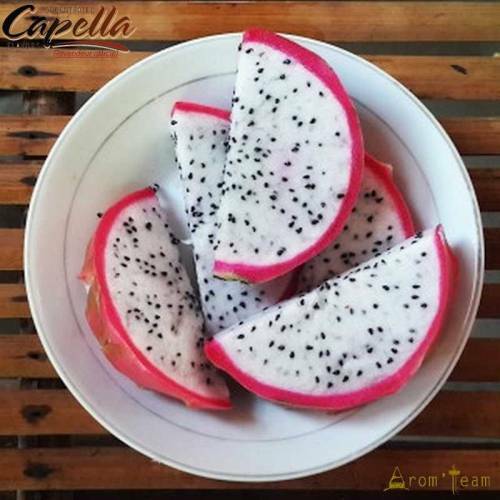 How much steeping for a Dragon Fruit e liquid ? Is this flavor only for vape ? Capella flavors are food grade. 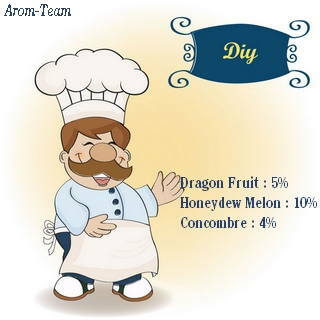 You can use them for your pastry recipes, your drinks and cocktails, yogurts and sorbets, etc.